The Typography floor lamp by Studio Truly Truly for Rakumba. Photographed by Haydn Cattach and styled by Marsha Golemac. Australia furniture design has gone from strength to strength in recent years, but what about the more technical pursuits of lighting design? 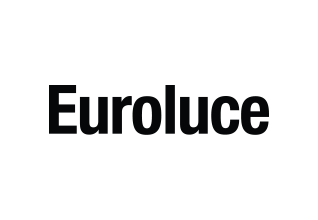 With the bi-annual Euroluce lighting fair happening in Milan this April, global heavy weights will be projecting new concepts and technology to the international stage. And at IMM Cologne recently, Australian brand Rakumba launched their Typography floor lamp, designed by Dutch-based Aussies, Studio Truly Truly. Part of the Das Haus project that invites creatives on the cusp of stardom to design their ideal house, couple Kate and Joel Booy of Studio Truly Truly created a conceptual home based on moods, where lighting was used to define much of the space. An extension of their Typography lighting system launched at the same fair in January 2018 – it comprises a series of fittings that can be composed and controlled individually along rails and, in the case of the floor lamp, this means lights can be set for reading, illuminating artworks or entire rooms – all from one fitting. 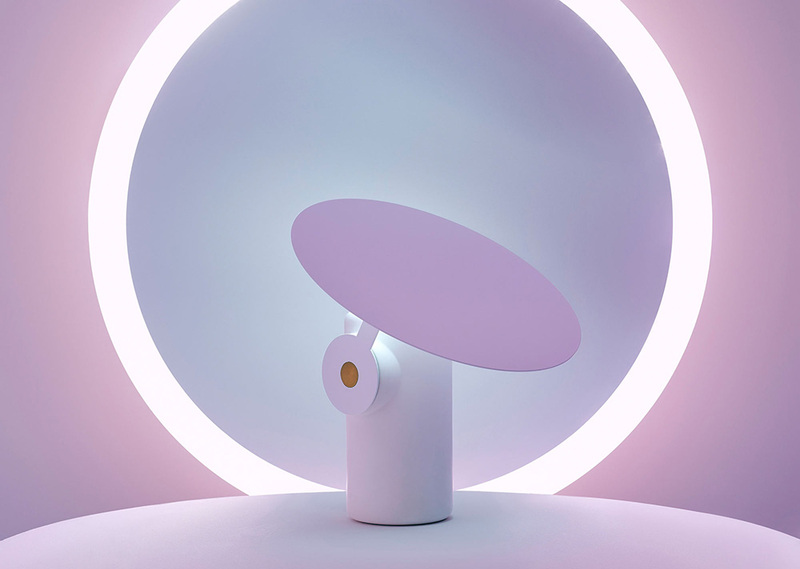 The genius behind this comes from the collaboration with Rakumba, themselves industrial designers, who developed a proprietary system to power each luminaire, and also make it possible to turn them or configure them along the rail. We all know putting a battery in backwards won’t work and in some cases will blow a fuse – lighting is no different. Rakumba’s solution, which is clearly a trade secret, allows for the polarity of each light to be flipped, increasing the flexibility of the system while retaining the ability to dim each light individually. It is the kind of smarts which has seen the Typography system pick up a number of international awards in the past year and is indicative of their collaborative approach. Ross Gardam's Polar desk lamp. Photograph by Haydn Cattach. Another shining light on the Melbourne design scene is Ross Gardam, whose Polar and Ora lamps are the result of some serious local manufacturing to result in objects that look as good when they are on as they do off. Remarkably, one of Gardam’s earlier projects, the Oak pendant light, has been subject to imitation – a sign of popularity sure, but stifling when a designer’s income is derived from sales. Sadly, the same was the case for fellow Melbournian’s Coco Flip, though it would seem through creating more technically advanced lighting they become harder to copy. Gardam and Coco Flip both manufacture their products in Australia but they are not alone in doing so, taking advantage of the skills available in a manufacturing sector that is increasingly hungry for work. The Greenway Crackle collection by ADesignStudio. 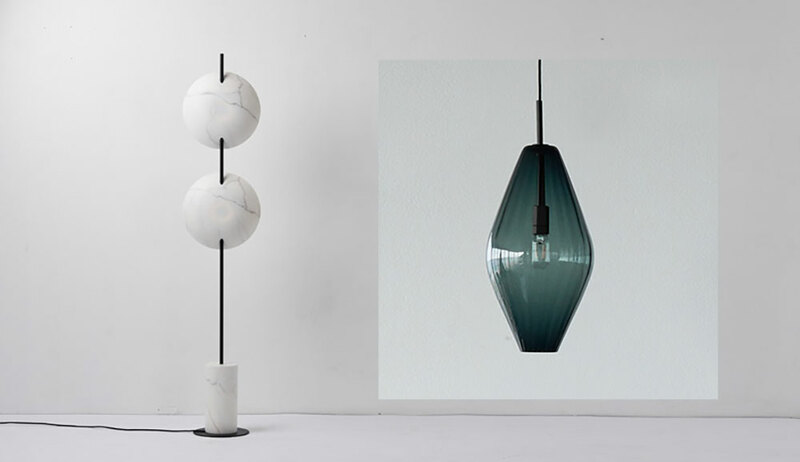 As with furniture, Australian lighting designers are well known for working in timber but across the country there are specialised artisans who work in materials such as glass, stone and ceramics. 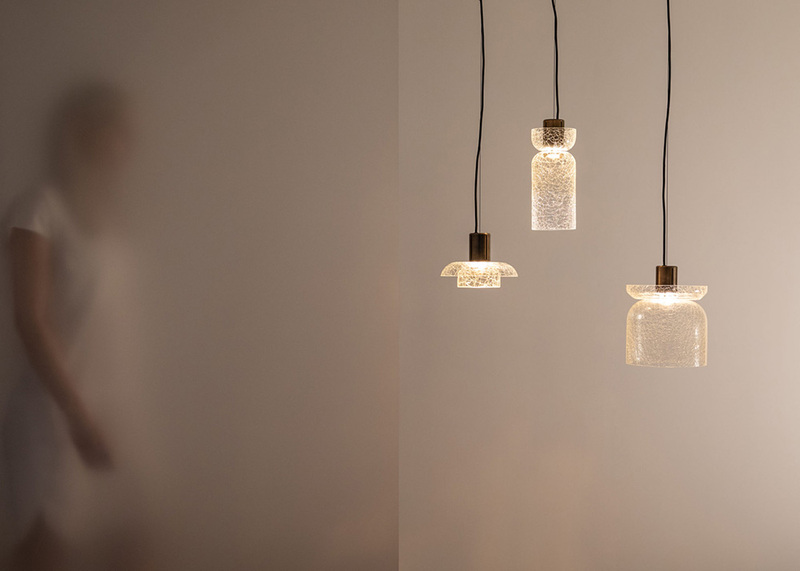 Adelaide’s JamFactory and Canberra’s Glassworks are both home to highly specialised glass blowers who produce lighting components for designers like Gardam, as well as the newer generation that includes Alex Fitzpatrick of ADesignStudio and Tom Fereday. Fitzpatrick’s Greenway collection of pendants has recently become even more distinct through a custom crackle effect in the glass. With the LED light source seemingly invisible, the light is captured in the cracks creating a patterned glow but also casting some beautiful shadows. Tom Fereday's Mito floor lamp and Bailey Pendant (inset) both for Rakumba are designed and made in Australia. Fereday's Bailey pendant achieves a similar effect, though his Mito lamps make use of complex machining to create the concave-marble reflector. Both of Fereday’s objects were created in collaboration with Rakumba, and include some hi-tech in their wiring to achieve the desired result. Of course, in buying local you are supporting our Australian industry and the design community but the benefits also extend into your home. Products that are made to order with custom finishes are just the start, and commissioning your very own lighting is now entirely possible. As we discovered here – working with a lighting designer can add that extra level to an entry way or stairwell, though as Adele Locke points out in our recent article, it is best to start that process early.